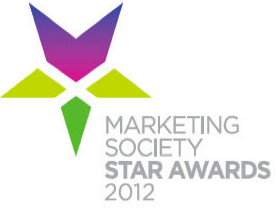 Great news today with the announcement that HND second year student Steven Brown has been shortlisted for the 'Star Creative Student of the Year' in the Marketing Society Awards 2012. This prestigious award is open to Scotland's Universities and Art Schools, with Edinburgh's Telford College the only FE College invited to participate. The first round of the contest consists of a written submission to a set brief. Submissions are then shortlisted to just six students, and they are then invited to present visuals to support their concept. This year's brief was to devise a campaign aimed at 18-25 year olds for Red Stag by Jim Beam® - the finest Jim Beam 4 year old bourbon, infused with natural black cherry flavour. Steven, who has spent the past month on work placements at Realise and HeeHaw Digital, will now be asked to present his idea at Maxxium House in Stirling on Tuesday 27th March. We had two shortlisted students last year, Gill McColl and Ross Duncan (who eventually picked up the Silver Award). Very well done and the best of luck to Steven for March 27th!